Stone Haven is a world apart, that easily becomes your home. 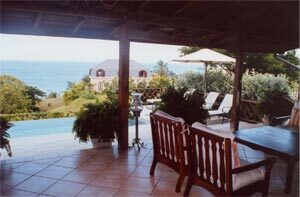 Your villa has three large air conditioning bedrooms, private bathrooms and private balcony in each room. 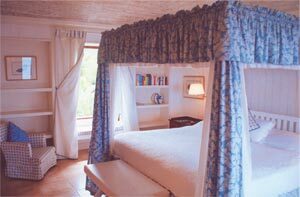 A fourth room with single bed is also at your disposal. 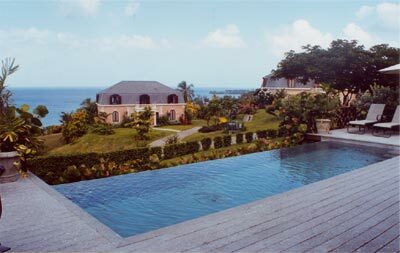 You have your own private Infinity pool, a spacious shaded veranda and pool deck that will allow you to enjoy to the fullest open air life of Tobago. A personal safe, computer ports, an impressive mahogany and granite kitchen with a wine chiller and ice maker, a sitting room with VCR, CD player and cable TV, along with washer and dryer. On request, your personal housekeeper will cook and serve local dishes. Included : Breakfast upon arrival, floral gift arrangement, transfer to and from the airport, personal housekeeper, beach/pool towels, a supply of general alimentary, occasional live entertainment, 24h security service. Extra: Babysitting, personal cook at your disposition to prepare delicious local and international cuisine.